This website once contained an online store owned and operated by sellers of replica Chanel bags. 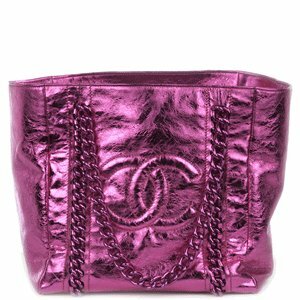 Pursuant to a United States Federal Judgment and Injunction, resulting from a case in a District Court of the United States of America against the former owners of the online bag shop, 2stbag.com, previously appearing at this domain, were attested to by the Court to have been selling replica Chanel handbags. For genuine CHANEL handbags, visit the official CHANEL website at www.CHANEL.com. This is why you should never buy a replica handbag for Mother's Day, or any day. I once decided to save some money and look for a cheap discount sale designer handbag for my Mom for Mother's day. I chose a random online store which promised that I could return it if I needed to. I ordered one of their factory direct Chanel bags thinking it would be a pretty nice present for my Mom. But when it arrived I realized what a mistake I had made. First off, the bag turned out to be a fake, which means the store sold me an illegal product. Second, it smelled of the plastic it was wrapped in and appeared to be damaged. The CC hardware had already started chipping around he edges. The worst part of it was I had spent hundreds of dollars on it and wanted a refund, but couldn't. The store's customer service never responded to my e-mails nor my phone calls. I ended up with my money gone down the drain. Next time around I will be very careful. One thing is for sure, from now on I am getting my CHANEL bags only at my CHANEL boutique.